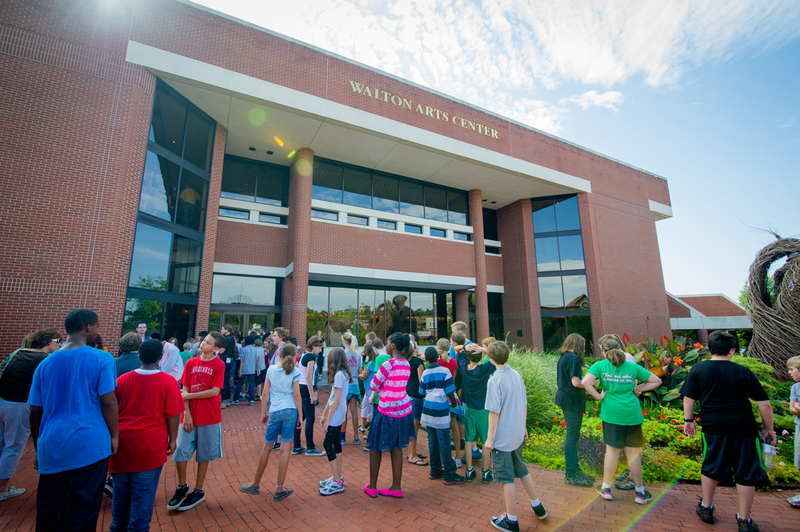 Walton Arts Center believes it is vital to expose children to the arts. Our Colgate Classroom Series (CCS) provides us with a way to give the children of Northwest Arkansas access to live matinee performances of theater, dance, puppetry and world music. This year, our focused efforts allowed growth in the reach of the program and cultivated new relationships with a Rural School Initiative. 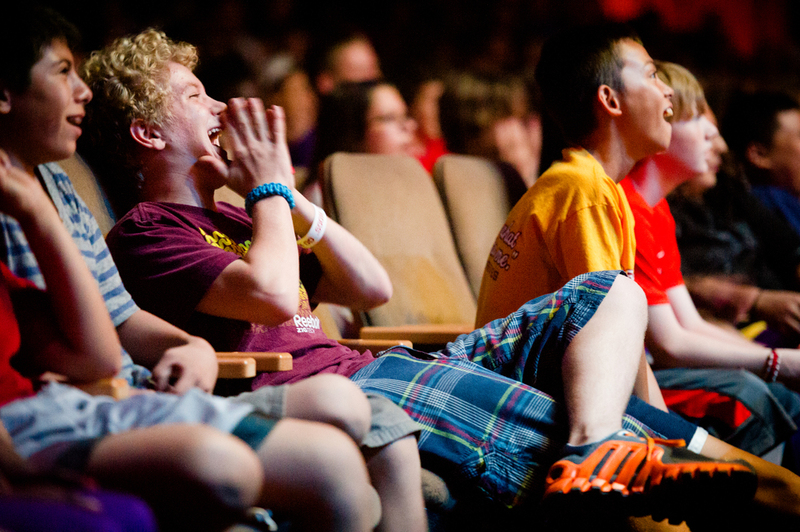 Since 2009, our reach has doubled - with 100 schools attending CCS performances this past year. The number of registered seats grew as well, reaching 34,000 seats, compared to 2011’s 30,000. Our goal next year is to register more than 40,000 students for the Colgate Classroom Series. This growth is due in part to efforts to make participation as affordable as possible for the schools. Two types of partnerships, Smart Partners and 100% Smart Partner Schools, allow us to work with the schools through every aspect of CCS. Both partnerships receive assistance in ticket prices, online performance guides which support classroom instruction by helping educators connect art forms with core curriculum standards, and transportation subsidies from J.B. Hunt Transportation Inc.
Another way we expanded our reach this year was by focusing on rural schools in NWA. Of the 15 schools targeted, one third attended CCS performances, including Gentry, Pea Ridge, Farmington, West Fork and Decatur. Rural schools in the area account for 5500 students, and we are happy to have made great contacts in order to reach these students in years to come. The goal next year is to have participation from at least half of these schools. The Colgate Classroom Series gives every NWA school and their students access to world-class arts. Through research with the University of Arkansas we’re learning more about how attending live performances at Walton Arts Center benefits students. In a recent research project, Junior High School students from Bentonville and Springdale who attended performances at Walton Arts Center as part of elementary school, were surveyed. The results were impressive. Students who attended more performances demonstrated more positive student values, including greater tolerance and empathy and were more likely to read for pleasure compared to students who attended less or not at all. This research begins to quantify some of the many important benefits the arts have for students. CCS performances are chosen for their ability to enrich class curriculum. To make the process easier for participating schools, we provide a list of the shows offered, a brief synopsis of each and the suggested grade levels that are appropriate for the shows. This past year a few of the select shows were Boats, Grug and Dinosaur Petting Zoo. We are excited to further expand the CCS reach this next year with theater performances like Digging Up Arkansas, dance productions like Company Käfig and world music demonstrations like AnDa Union! For a complete listing of the upcoming Colgate Classroom Series, and to learn more about the program, visit our website.